Question: “I’m a first time buyer. 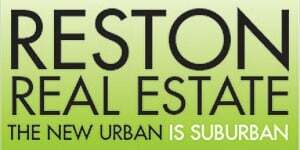 I’ve been looking (online) at townhouses and condos in the Reston area. It seems like I can buy more if I get a townhouse because there won’t be any condo fees. My father says that the condo fees pay for things that I’ll have to pay for eventually. Answer: I think your Father is a pretty smart guy. Let’s look at the question from a different perspective. For most things we own there is something called the “cost of ownership” which means simply it costs money to maintain things. Cars need maintenance. Pets need to go to the vet. Some clothes can only be dry cleaned. It is the same with property. It requires maintenance and repair and to maintain its value. Hopefully part of your plan to purchase a property includes understanding what it will cost to keep it in good repair. When you purchase a condo some parts of the property maintenance are the responsibility of the condominium association. Your condo fees include a contribution to both the day-to-day operations and something called the reserve and replacement fund. The reserve and replacement fund is where the money for things like a new roof, replacement flooring in commonly shared hallways, maintenance of parking lots, garages and all the other things that the condo owners share in common. What that includes will vary from condo to condo but it typically includes the entire exterior except for windows and doors. When considering the purchase of a condo it is important to look at the condo’s financials and audit report to confirm that the reserve fund is large enough to cover anticipated repairs; an under funded reserve account is a future special assessment. A special assessment occurs when something breaks and there’s not enough money for the repair — the condo association then has to collect extra money from the members to make the repair. So, the short answer to your question is that your dad is right. If you buy a townhouse you’ll have to take charge of saving to replace your roof, your water heater, your furnace, etc. In a condo some of that will be saved for you through the payment of your condo fee, but you’ll want to make sure that the condo association is well run and in good financial shape. Follow this link to a more detailed blog post about understanding condo fees.